By Laura Vanzo Laura Vanzo from the Kent University is a volunteer at the World YWCA. 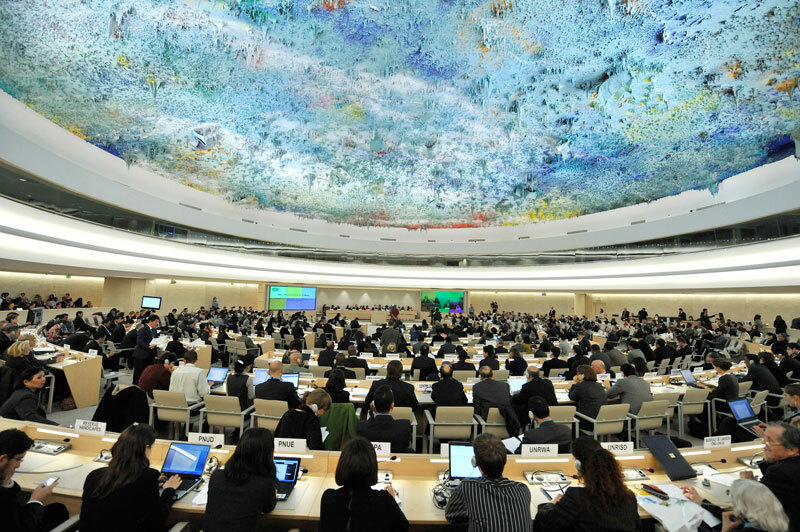 In September she attended the 18th UN Human Rights Council in Geneva, Switzerland. She shares her thoughts and her experience. It is all too easy for the rights of women to be overlooked. Just looking around the Human Rights and Alliance of Civilizations room where the Human Rights Council was meeting two weeks ago, the first thing I noticed was the lack of people. Representatives from a large number of States were missing from this meeting where the integration of a gender perspective in the Human Rights Council’s work was being discussed. This simply shows the lack of interest nations around the world sometimes take in the rights of women and the advancement of gender equality. UNSCR 1325 and resolutions like it do show that member nations have women in mind, but when it comes to putting policies that carry out these resolutions in place on a national level, most nations lag behind. This trip to the Human Rights Council really made me appreciate the work the World YWCA is doing, and how lucky I am to be a part of it. This is exactly what makes the World YWCA and NGOs like it so vital to the cause of gender equality. When governments do not follow through on their obligation to protect and offer freedom to all of their citizens, nongovernmental organisations fill the gap. In my short time at the World YWCA, I have learned the importance of our work. From education on sexual and reproductive health rights, to advocating for an end to violence against women, to empowerment of young women, the World YWCA is taking great strides to set right the balance between men and women. When I received news that I was accepted as an intern volunteer at the World YWCA, I was ecstatic. I knew of the important work the YWCA does in my home, the United States, and I was excited to work for an organisation that supported the equality for women that I so strongly believed in. However, I could not have imagined how positive my experience would be. Though I have only been working in the office for a month I understand now why the WYCA has been a successful movement for more than one hundred years. It is more than an NGO. The YWCA is a community of women who want nothing more than to help their sisters around the world, and in their community’s live safe, happy and full lives. Becoming a part of the World YWCA office in Geneva has been a wonderful experience for me. When my fellow students who are currently working with other organisations around Geneva give negative feedback about their experiences, I don’t know what to say, because I am blessed to be working at the World YWCA. I am nothing less than ecstatic to be working here with some of the most interesting and friendly women on projects that I care deeply about. It is so encouraging to hear that your experience has been positive. Positive energy will help get the job done.